Owing to our technological advancement, we have been able to offer Lance Tip Blades to our clients. 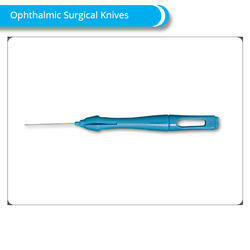 These are precisely designed for scleral incision mainly in eye surgeries. 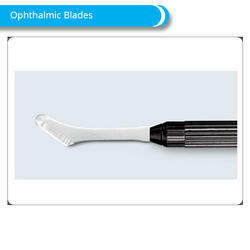 We manufacture these blades under hygienic condition so as to get effective results. These are properly sterilized ensuring safe usage in the surgeries. We offer these blades in varied specifications as per the needs of our clients at competitive prices. We also offer Keratome Blades, Clear Cornea Blades and Miniature Blades. With our years of experience and vast knowledge in this industry, we are presenting a wide assortment of Lance Tip Blades. 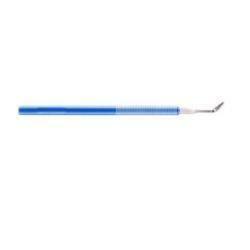 Our lance tip blade is properly sterilized ensuring safe usage in the surgeries. 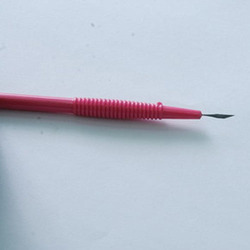 The offered lance tip blade is manufactured from the best quality material & latest techniques following the standards of market. 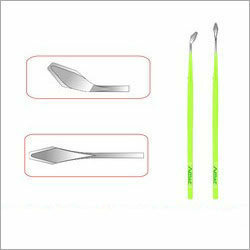 Moreover, this lance tip blade can also be customized as per the several requirements of our customers. These have extremely sharp cutting edge and polycarbonate handle. To meet the varied requisites of our valued clients, we are instrumental in providing best in class Enlarger Blades. This enlarger blade is sterilized disposable blades that are made using latest technologies at our advanced unit. Our offered enlarger blade is used for enlargement of slit or I.O.L. 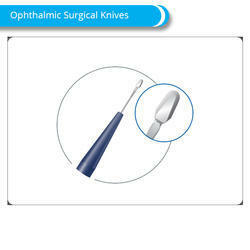 implant incision in ophthalmic surgeries. Also, this enlarger blade is checked in terms of quality before dispatching from our end. 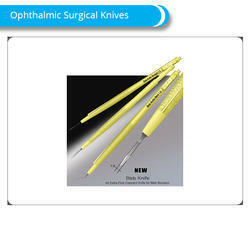 We at¿¿DSA Exports¿¿offers a broad range of¿¿Surgical Knives¿¿for ophthalmic and other microsurgical procedures. DSA Exports¿¿continues to enhance its presence in the International market through innovation, wide range of Products, export oriented approach and thoroughly professional management. Drop us mail on¿¿dsaexportsindiaatgmail.com. DSA Exports¿¿continues to enhance its presence in the International market through innovation, wide range of Products, export-oriented approach, and thoroughly professional management. DSA Exports¿¿continues to enhance its presence in the International market through innovation, wide range of Products, export oriented approach and thoroughly professional management. 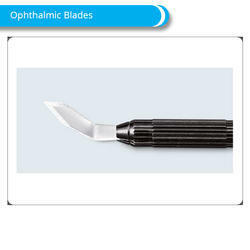 We are an acclaimed name betrothed in providing our precious clients with a superior quality range of Ophthalmic Blades. 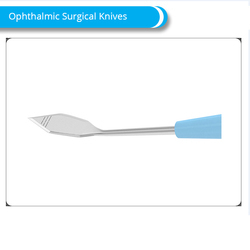 Used in cataract surgery, this ophthalmic blade is made from the stainless steel that assures its better cutting operations. 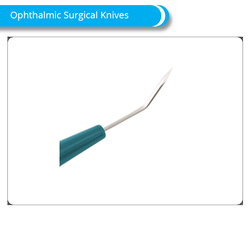 The provided ophthalmic blade is used by doctors during ophthalmic surgery and is demanded in health centers, clinics and hospitals. 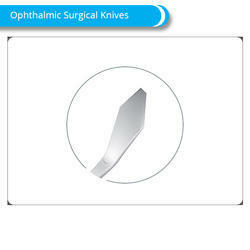 As well, these ophthalmic blades can be availed from us at market leading price within promised time frame. With vast industry experience, we are engaged in manufacturing, supplying and exporting Enlarger Blades. These are sterilized disposable blades that are made using latest technologies at our advanced unit. We design these blades to be used for enlargement of slit or I.O.L. 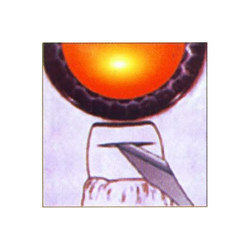 implant incision in ophthalmic surgeries. 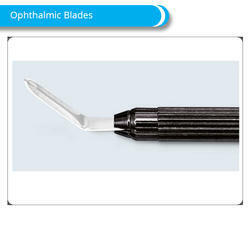 We also offer these blades in customized forms so as to fulfill the diverse needs of our patrons. We also offer Keratome Blades, Clear Cornea Blades and Miniature Blades. Our organization has gained acknowledgment as the affluent manufacturer, exporter, importer, trader and supplier of Crescent Blades that are manufactured with high precision using superior grade stainless steel. 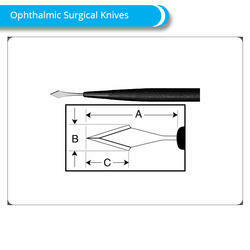 This crescent blade is designed for making scleral tunnel incision or a groove or a pocket incision in ophthalmic surgery. The offered crescent blade is checked by quality controllers so as to deliver a defect free range from our end. 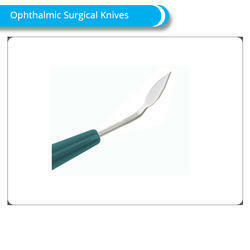 We are a reputed firm engaged in providing Ophthalmic Blades that hold huge demand in market. These blades are made using high quality stainless steel and carbon steel. 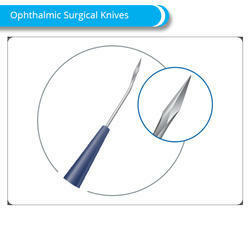 Our ophthalmic blades are packed using V.C.I paper and foil ensuring safety while transit. 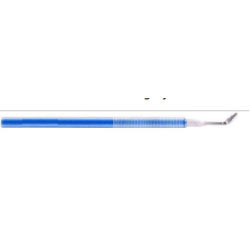 We offer these in both sterile and non sterile conditions available in a pack of 10 blades. These high grade products can be availed at affordable prices. We also offer Keratome Blades, Clear Cornea Blades and Miniature Blades. Precise width keratomes are designed to give incision of required width for insertion of phaco tip, irrigation /aspiration tip. 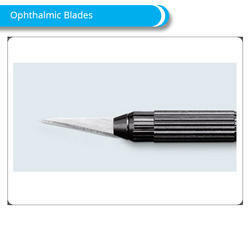 Looking for Opthalmic Blades ?